Should I use weighted products with my child with sensory needs? 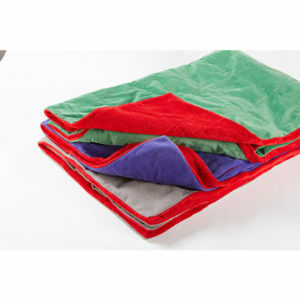 Weighted blankets, lap pads, vests and shoulder weights are becoming more and more popular for using with children with sensory processing difficulties. 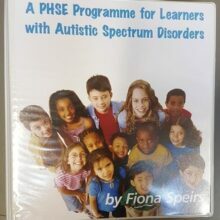 These products are used to provide deep pressure input which calms the sensory systems and helps a child who is feeling overwhelmed or seeking proprioception to regulate their arousal levels. In class, to help a child remain in their chair and hold focus during lessons. During breaktimes, to provide calming input in busy and loud environments which can be overwhelming for children with sensory processing difficulties. In sensory rooms, for calming input for children who need more gentle regulation. After school, for regulation and relaxation after a challenging day in school. At bedtime, to provide gentle calming input to calming sensory systems and help children settle to sleep. At home, when a child is getting overwhelmed and is at risk of having a meltdown. Weighted products do not work with everyone and there are contraindications that must be noted. If a child has low muscle tone or joint hypermobility we do not recommend weighted products like vests and shoulder weights. These put too much weight through the joints and the child is not able to maintain an upright position with the force of the weight. The child will collapse against the weight and will be in a hunched position, they are not using muscles against the force of the weight and are not getting benefits of weighted products at these times. For children with low muscle tone or joint hypermobility we recommend that they use a lap pad and if using a weighted blanket it should be placed on them in a lying position. We advise against wrapping these children in weighted blankets when they are in a seated position. When using weighted products it is important that they are no more than 5-10% of the child’s bodyweight and that they are only used for short periods at a time. We recommend that they are used for a maximum of 20 minutes and then there is a break of at least 20 minutes. This break stops our systems from becoming too used to the sensory input. If we have this input constantly, it will reduce the effectiveness of the input when it is required. Everyone’s sensory systems are different and while most of us find deep pressure and heavy weight to be calming for others this can provoke anxiety and become alerting. If at all possible we recommend experimenting to see if weight works before purchasing weighted products. If your child is attending therapy sessions you could try this in sessions and get the therapists advice. You could try using a weighted backpack in place of a vest and observing the effects of this and placing extra blankets on the bed to give some added weight at bedtime. If you find these to be effective it is more likely that weighted products will work. 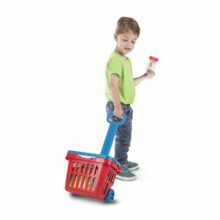 If your child has reduced muscle tone we recommend that you only trial weighted products under the supervision of an Occupational Therapist.